The heavy door slammed like the hatch of a submarine before descending under water. Anticipating the inevitable scrutiny, I would deal with things one handful at a time. From the next room, secondhand laughter and throbbing dance music made its way into the vestibule. Passing pockets of people, I maneuvered to the rack against the wall, grabbed a hanger, and wedged my jacket between two bulky coats. Tonight, the VFW hall hoisted waves of crepe paper and colorful lanterns against the grim realities of the Vietnam War. My oldest brother Bob’s engagement to Dianne assembled two families in delighted celebration. The childhood nickname confirming my familial tie to my older brothers, Bob and Paul Giovano, withstood the test of time. A longtime family friend, Arty, saw me enter. His long strides glided across the lacquered floor, and at an arm’s length he swept me into a bear-hug. I tattooed Arty’s cheek with a Berry-Cherry tinted kiss and he lowered me to the ground. Friends first, the affection Ronald and I tucked away over time grew too large to ignore. Becoming a couple two years ago, we broke step with family tradition and society’s norms, knowing repercussions lay up ahead. But we were invested in a future together, and our durability was essential to carving a path. My father had packed up and vanished last year when my mother least expected it. They’d been married thirty years. While there had been periods when their marriage hovered above the drain, his abrupt disappearance had left her, and us, stunned. “It’s okay,” I said. “I get what you’re saying.” Like a vase, I turned my cracks to the wall to show my best face. “Come on.” Arty grabbed my hand, tugging me towards the main room. We swiveled around huddles of chatty guests and side-stepped our way along back-to-back tables and chairs. “Where’s the family consiglio sitting?” My focus remained fastened to the back of Arty’s stiff pale-blue collar. My brother’s trim physique stood pillar straight, his tie perfectly knotted, every hair in its place. Sensing the beam of our attention, he turned and excused himself, making his way through the crowd. His face exposed a tense eagerness and a split-second quiver quaked in his jaw. As he drew near, two brawny arms engulfed me. “Luce, thanks for showing,” his tone on the verge of apologetic. Bob pivoted. “Over there. She’s dancing with Teddy.” The misty smile on Teddy’s face conveyed his affection for his daughter. Spotting us, Dianne whispered in her father’s ear and hurried over. Nodding, Dianne gave me a squeeze and took off. Ill at ease, I was contemplating a way to fit in when Paul, just a year older than me so an easy sibling companion, materialized in the crowd. Always within reach, he appeared whenever I was on the brink of trouble. Snorting, I bumped Paul with my hip and rolled my eyes. Standing at the bus stop early in our relationship, Paul came down the street surprised to find my arm linked through Ronald’s, a former co-worker of Paul’s from his years at UPS. Following this revelation, the two reactivated their friendship and it grew strong. Shoulders back, corsage pinned to her chest, my mother rose from her seat and strode towards the vestibule. Cutting across the room, I hurried to catch up. Ahead to my right, my cousin Claudette twitched a forced smile. I zig-zagged to avoid the charade of exchanging pleasantries while a second conversation about race played in our heads. When I entered the lobby, my mother had vanished. I dashed to the lady’s lounge and pressed my ear to the door. I deciphered a few isolated clicks cross the floor, and then there was silence. Steadying myself, I pushed the door open. Running lipstick along her bottom lip, she held the tube motionless when she caught my reflection in the mirror. The open stalls confirmed we were alone. Shunning the real-life me, my mother stuck with the mirror reflection that pushed me further away. She faltered and rested her hands on the marble vanity top. “Hello, Mom.” It felt peculiar watching my two-dimensional image, as the living me spoke. Attempting to catch my mother’s eye in the mirror, I entered an odd three-way conversation. A landslide of despair slid down her face. I spoke softly. “How are you?” The silence that followed hung like a heavy curtain. My mother gave her head a quick shake, lifting the back of her hand to her eyes. The ache in her eyes spoke of my father. Now, my presence doubled her losses. A familiar brittle anger returned to her face. Her eyes raked over my reflection and a locked-down sadness jabbed my gut. My mother’s sharp eyes dragged her disgust across my face. Sadly, she already had a poor track record as a parent. It wasn’t her nature to carry a secret stash of love for when the going got rough between us. I composed my body in an effort to clear my head, because somewhere in this mess the truth had to be told. “You sicken me.” Scowling, her tone seethed. My mother scrambled to place her lipstick and comb back in her purse. My mother spun around. Her hand pitched towards my face. My forearm sprung up, blocking her strike. “You disgust me.” Hate welled in her eyes, a sharp hawkish gaze set to strike deep. What hurt inside me remained hidden. The clamp of my fist tightened, and I cast my mother a low, swinging glance. She wasn’t wrong. My compass was already set in the opposite direction. Giving her a head-start, I exited and passed through the bulky double doors into the chilled air and sat down on the stoop. Nothing had changed and nothing would. Alienation and resolve slumped alongside me. I pulled the wrinkled napkin from my bag, turning it sideways. Each night your name is the last word I mumble before falling asleep. 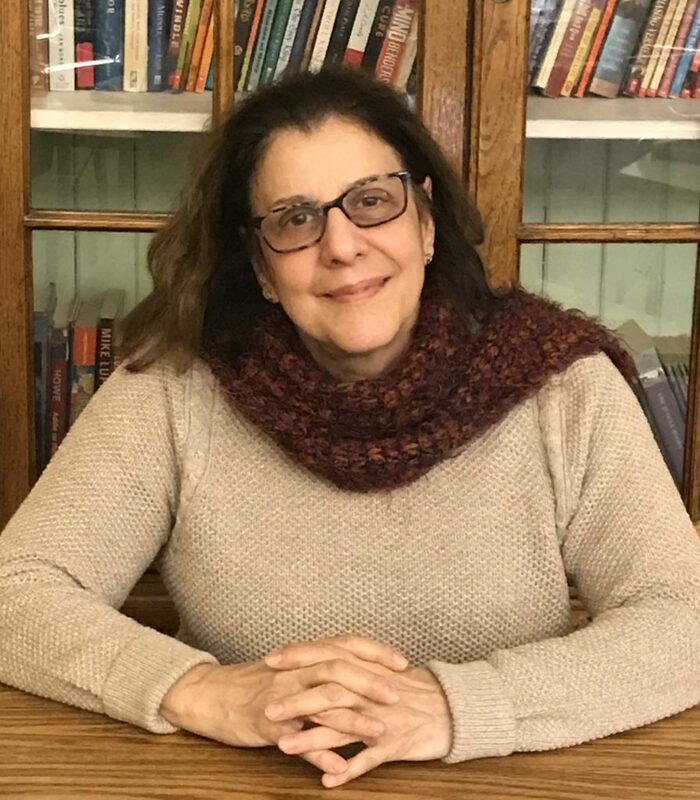 Susan Dashiell is a middle school teacher living in Bloomfield, New Jersey who enjoys writing, collaging and gardening. Her work has appeared in The Write Launch, Uncomfortable Revolution, and Burnt Pine Magazine, among others. Featured image courtesy of lgh75.